Cheerful and mischievous Irish people – it’s probably the first that comes to your mind when thinking about Ireland. And this is true, because we remember of this country thanks to the ingenuous men who are very talkative and fond of beer. 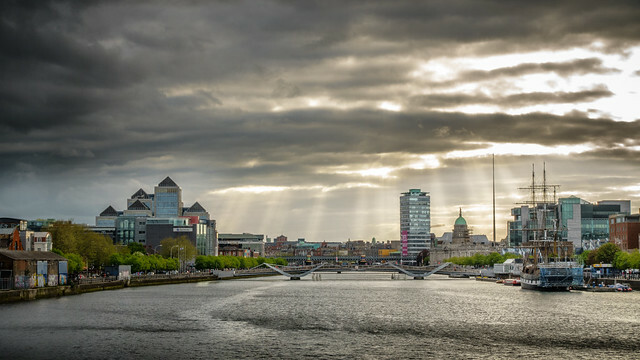 The most visited Ireland’s place is its capital – Dublin. How many amazing sights this city has? 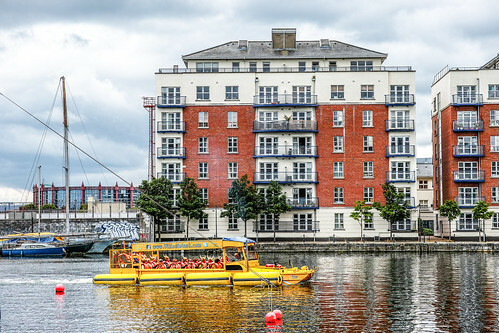 From old houses to stylish buildings, from the centuries-old museums to modernized galleries, from expensive restaurants to the cheapest national pubs – this is what you can enjoy when you get to Dublin. But what is the best time to visit the city? Of course, it depends on your own touristic preferences. So, first of all let’s consider what Dublin can offer at any time of the year. Many people believe that winter in the capital of Ireland is cold, gray, uncomfortable and generally it’s a boring season. But while pessimistic travelers refuse to have fun, optimistic ones set off to pubs, open Christmas gifts and visit numerous museums, where the tickets sometimes are free of charge because of the New Year holidays. Christmas and New Year in Dublin are usually accompanied by a three-day street parade and constantly rattling fireworks. This is the time of a true serene fun, when the major places of the city – Temple Bar and O’Connell Street are packed with thousands of happy people. As you know, Dublin’s residents are very hospitable, and can easily enjoy the celebration of the New Year together. 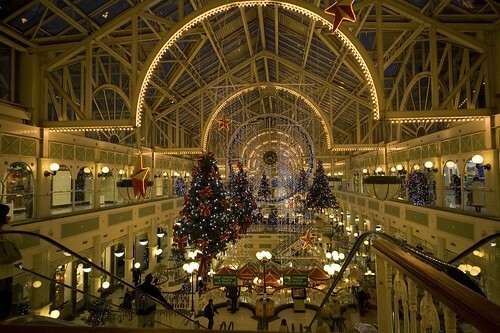 Another pleasant feature of Dublin’s Christmas is a cheap New Year shopping. Starting from December 25th till January 1st you’ll be able to catch huge discounts that sometimes reach 70%! So, if you decide to make some purchases, set off to the Grafton Street, Henry Street and Jervis Street offering the best shopping opportunities in the city. 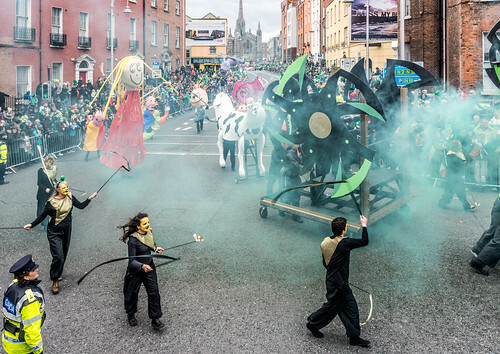 There are plenty of reasons to visit Dublin in spring, but the most significant of them are festivals. From March 14th till 17th Irish people celebrate St. Patrick’s festival. This religious event is a great occasion for 3-day festivities including a variety of parades, carnivals and all kinds of free entertainments. Those who decide to travel to Dublin in May can enjoy an amazing Dance Festival. It is held from May 20th till 31st and offers an extensive program of dance performances, seminars, discussions, films and vivid impressions! The festival of writers is the next event which is held in May. During this time lots of poets, both young ones and mature contemporaries present their works. In April there’s a shrimp festival and a great Irish run – a 10-kilometer charity race. Spring is also a perfect season to set off to the National Botanic Garden. Situated on the banks of the Tolka River it includes the rose garden, the palm house and the incredibly beautiful park – a perfect place for a romantic walk. Dublin is also a very interesting destination in summer. From June 5th till 15th the Shakespeare’s Festival takes place at Trinity College. It includes parades and processions, as well as diverse theatrical performances – all the events are held in honor of the great writer – William Shakespeare. And every Thursday starting from June 13th till August 15th you can enjoy different activities at Leopardstown Hippodrome: races, concerts, fashion shows and folk festivals. Summer is also the time of children’s camps. So, summer family vacation will be an excellent idea, because Dublin has much to offer. You can choose any suitable activity for your kid: sports, historical museums and galleries or even medical studies. And, of course, summer season usually attracts the world-famous musicians to the city. One of Dublin’s major musical centers is Electric Picnic, where you can enjoy really an incredible show and sound. 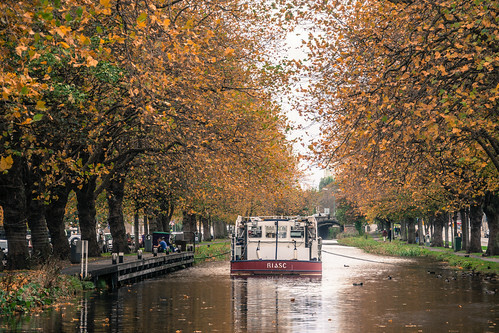 Autumn is a period when Dublin just comes alive. September starts with the annual event called “Cultural Night in Dublin” when museums and galleries offer free opening hours, and live music sounds are heard from every corner of the city. In October the Fringe Festival is held, where young talents from the field of theater, music, cinema and circus show their talents. Oktoberfest beer festival is also held during this month. Autumn period – is also a perfect option for a budget travel. The peak of the tourist season always takes place during the summer months, so in the autumn you can quickly find a suitable accommodation, get away from the crowds and enjoy Dublin strolling among the locals. Of course, what is the autumn in Dublin without Halloween?! The holiday of dark forces starts on October 30th immediately after the festival of Bram Stoker and is accompanied by the huge parade, where the various ghosts, vampires, spiders, witches and many other monsters walk down the streets. Autumn – is also a great time for an exciting photo tourism. Parks and gardens at this time of year are turned into an amazing kaleidoscope of leaves, and short rains create a fresh ambience. As you see, Dublin is worth your attention regardless of the time of the year, and whenever you decide to visit this amazing city, your trip will be unforgettable and full of vivid emotions. By the way, if you don’t know how to get around Dublin most comfortably, we recommend you to rent a car and forget about any transport issues. Author Bio: Lily Berns is a wanderlust who loves to explore and observe. She likes to write and takes photos of special places.